A non-stressful, family oriented environment for you and your pets. When a pet patient and parent enter our office, their health and well-being becomes our primary concern. Our staff is dedicated to upholding notable veterinary standards to provide your pet with superior care in a welcoming, relaxed environment. We want you to feel right at home with us! Canine Influenza and what you need to know! Canine Influenza, or the "dog flu," is a contagious respiratory disease transmitted by surface area contact. This means if you come into contact with a contagious dog or where a contagious dog has been, YOU may bring it home to your pets! Scary right? It is caused by two specific Type A canine influenza viruses (CIVs): H3N2 and H3N8. 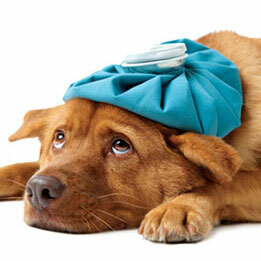 Here at Animal Kindness we offer the best vaccine available for theCanine Influenza Virus. Our vaccine is what they call a "bivalent" vaccine which targets BOTH the strains of viruses that are affecting dogs nationwide. The bivalent vaccine needs to be given twice, three weeks apart from each other. Our manufacturer of this vaccine is reassuring owners that if by some chance the dog is sick after receiving the bivalent vaccine, they will pay for the diagnostic work up AND up to $5,000 in treatment to get your pups back to the way they were. Now that's what we call pride in product! The truly scary thing about this new virus is that there is NO CURE or medication that we can prescribe to help your pet. The best way to prevent this sickness it to vaccinate. However, if you feel your dog may have contracted this virus we do offer supportive care. The biggest thing to watch for is dehydration and making sure your pet is eating and resting well. For our cat owners we would also like to warn you that CIV H3N2 has been documented to cause infection and respiratory illness in cats. However, H3N8 has not been documented as of yet. There is no vaccine for cats at this time but if you are concerned in any way, please give us a call at 702-453-2990! Grooming: Yes! We are now offering a full grooming service for both dogs and cats. The best thing about it? Your pet will receive a complimentary wellness review by our licensed professionals to make sure your pet not only looks good but feels good too. See our grooming tab above for more information such as prices and services that we now offer. Preventative Dental Program: Have you noticed your pet's teeth getting a little... dingy? Love those kisses but not so much the bad breath? Well we are excited to help with that! Come see us for a FREE dental consultation to find out how we can help with your pet's dental care. If you've noticed any of these above, please call us. Consultations on dental exams are absolutely FREE. OraVet Dental Chews: We were SO excited for these chews that when they first arrived our staff claimed the first few boxes ourselves. These chews are the only ones on the market that is FDA approved to remove light plaque, reduce bacterial attachment, and decrease halitosis (bad breath) for your pet. We cannot keep these on the shelves! If you are interested in a healthy dental chew that WORKS, please call us for more information.